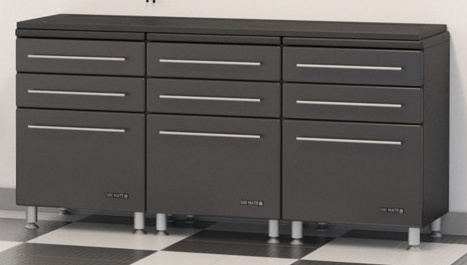 Ulti Mate Garage Cabinets for Garage & Beyond! FREE SHIPPING ON ALL ITEMS BELOW! This Product line is being phased out and replaced with the new and improved Ulti-MATE 2.0 model year 2019 Line. More color choices and improved features at comparable cost! To take a look click Here! Ulti-Mate GA-10 Large Work Surface Top - 72"
UltiMATE Garage Storage Steps to a Green Planet! This Product Meets California Regulations, the strictest in the world! Now Available - Ulti-MATE Garage In Starfire White! FREE SHIPPING ON ALL ITEMS ABOVE! What's the difference between Ulti-MATE and Ulti-MATE PRO Cabinets? Larger kits/orders ship by common carrier and you will be called for an appointment setup prior to delivery. We will email you the tracking information once shipped. 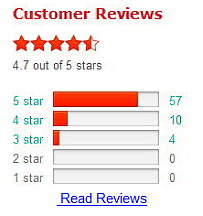 Single cabinets normally ship FedEx ground service and don't require an appointment. Engineered to withstand the large temperature and humidity swings of unregulated garage environments! Great for your Garage, Office, Craft Room, Workshop, Medical or other location where storage is neeeded! Sorry, Not available in Canada, Hawaii, or Alaska. 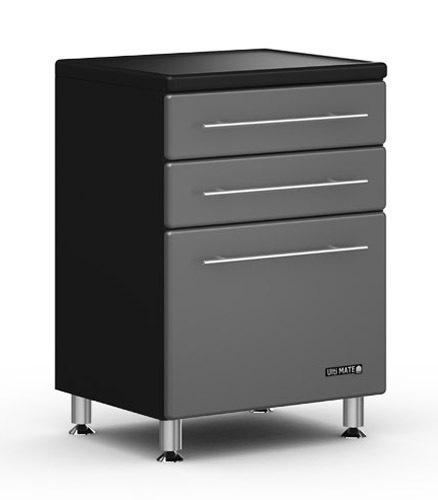 Ulti MATE Cabinets rank number one in style and function for the largest room in the house. Ulti-MATE GARAGE is a state of the art system. It will transform your old garage into a sleek and functional workspace. 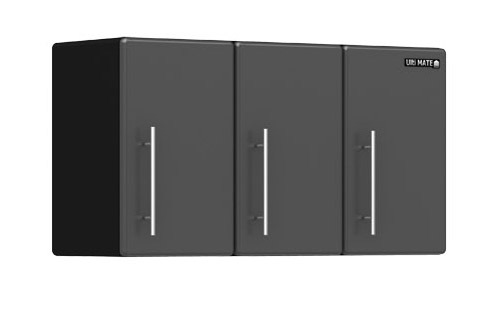 These wildly popular modular cabinets provide plenty of storage options for all your personal belongings. Thes cabinets were developed to add style and sophistication through modern design. The Ulti MATE Storage System is built using polyurethane coated MDF doors, drawers and facings for a clean, finished and refined look. Cabinet facings are assembled using a thermofused particle substrate laminate over MDF for maximum strength and stability. MDF, or medium density fiberboard, is a kind of hardboard (think masonite) that is made from composite wood. Specifically, MDF is made from wood waste (specifically the fibers) that are glued together using extreme heat and resin under high pressure. Originally invented in the 1960s, the usage of medium density fiberboard has expanded into all areas of construction. MDF is a very versatile building material that can be used in a variety of applications. This includes making cabinets and moldings. MDF’s characteristics include being smooth with a high resistance to warping. MDF is a better material compared to other popular materials like particleboard, wood planks or high density fiberboard for a number of reasons. First, MDF has a very smooth texture mainly because wood fibers used in making the MDF are also smooth and fine. MDF is also a great material when being sawed because the cut portion is smooth immediately after being sawed, as opposed to leaving jagged edges when using other materials, for example, planks of wood. MDF also takes well to painting. Putting on a primer and a couple of coats of paint will leave a nice finished surface, which does not happen with other composite wood products. MDF also has minimal reaction to moisture. This means MDF will not warp or swell when used in environments that have a high humidity. Hardware: Modern brushed zinc pulls and handles offer comfort and utility. Euro hardware and roller bearing slides offer ease of use, quality feel and reliability. 6 way adjustable hinges insure a perfect door fit. 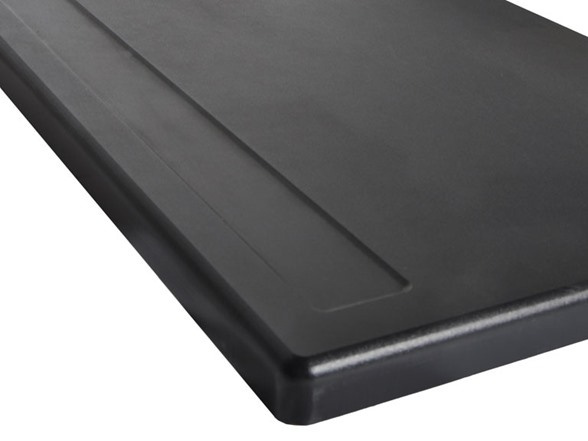 Available in Graphite fronts with Black cabinets or our StarFire White version.